Where does my photography session take place? All sessions with Fancy That Photography take place on location, at our studio, or include a combination of both. Whether this is a senior session, family session, etcetera, this is YOUR session! Your personality, tastes, spirit of adventure all have an impact. We plan your session around the areas in your home you wish to decorate. At your consult, we’ll talk possible locations and you can choose a location that has meaning for you or I can share some ideas for neat places in our surrounding area. We’ll also visit about the time frames ~ the perfect light can usually be found 1-2 hours before sunset...those golden hours as the sun melts into the early light of evening. Family is a forever kind of love and life tends to move very quickly. Your family portraits capture it, preserve it, display it and allow you to forever treasure what you value most in life. FAMILY PORTRAIT SESSIONS run anywhere from one to two hours while BABY and CHILDHOOD SESSIONS run anywhere from one to three hours. For your family, the gift of time is precious. After the first 20 minutes or so, everyone truly starts to relax including your husband! That gift of time is where the magic is allowed to happen. If you have little people in your group, we'll literally work around your their schedule! At Fancy That we know babies need to eat, children need breaks, and Gwen has the patience to work with your little ones to bring out the tender, sweet, and cherubic images that you will absolutely cherish. We can shoot in-studio or out for these sessions and capture little bits of magic to preserve these childhood memories. Bring along some snacks for your little ones too as every little person tends to need a break and sometimes a bribe:-)! The next question you probably have is about clothing. Our style focuses on YOU so the clothing is secondary, but important. I love everything from naked babies, to layered looks, to simple high fashion sophistication. You don't always have to wear white or black — color is great when it's mixed correctly. We’ll talk in more detail at your consult! When do I pay my session fee and what does this cover? Do plan on booking your session sooner rather than later ~ in most cases, giving 3-4 weeks in advance will be sufficient. Family sessions $995 (this provides a product credit of $745 (weekday session) or $495 (Friday afternoon or Saturday session). Upon payment, your appointment is official! This fee covers the time of your session, talent of the portrait artist, and of course the creative touch that sets Fancy That Photography apart! This fee is non-refundable. Life happens, we know, so if you need to reschedule, please call us at least 24-48 hours in advance. Our session fees are non-refundable, but you may use it for a one-time reschedule (if called within the 24-48 hour window) to be scheduled within six months of your original appointment date. Prior to your photo session with us, we’ll meet with you to discuss the details of your upcoming portrait experience so we’re set up for a successful and fantastic time on the day of your session! During the consultation, we get to sit back, relax and talk about what we can do to tell your story. We go over location options, weather, time, ideas, outfits, style, and any other questions you have regarding the session. We’ll talk about the feel you want for your images, look at some samples, and discuss how your session images may be used in your home decor to ensure we capture images that meet your design needs. We will discuss ways to display your portraits and any questions you have about cost. Having a plan for what to do with your images once we have them is key to your ultimate satisfaction with your family portrait experience. This preparation is extremely important and makes the Session day go smoothly ~ which means less stress for you, and more fun for you and your family! Yippee! We want your portrait session and images to meet your needs and exceed your expectations. Fancy That ~ a studio that is about providing YOU with what YOU want and need! Sessions are fun and informal! When your session day arrives, relax, be yourself, and have a good time. Your consult allows us to have a plan so everything can go smoothly ~ which means less stress and more fun for you! This is definitely not your chain-store type session, nor will the results be! We delight in going along on a family adventure with you to visit a park, stream, family land, your home, or some of the neat locations in our area! We'll let your children play and interact with you for informal and endearing shots, we'll pose for some more formal and timeless shots, and we'll capture the relationships in between that will tug at your heart for generations to come. We take the time ensure you look your best with the light, composition, clothing harmony, and posing. We have done a lot of research, practice, trial & error on what angles will make you look your best, what lighting will make you look fantastic and what poses will really compliment your session. We don’t just snap away with our camera and hope for some lucky shots… We create the shots we want before we even raise the camera to our eye… then we capture that image. We'll show the attention to detail, the spontaneity to take advantage of opportunity, and the artistic eye that will make your portraits unique and special to you! Another advantage for you is that we are able to optimize your session time because we always have a lighting assistant with us. You'll love Lisa's sense of humor and teasing. Sometimes that’s when folks relax the most and the natural grins and expressions come out that touch all of our hearts. An optional deposit towards your order is welcome at this time and may help you divide up the final cost. This is such a fun part of the Fancy That experience… You will be invited back to Fancy That for an Image Review and Order Appointment 5-8 weeks after your portrait session. Like everything we do at Fancy That Photography, your ordering session is highly interactive, super fun, and perhaps the most exciting of all our meetings, as at this time, we’ll unveil the images from your session in a gorgeous slideshow! Make sure all decision makers are present – this is when your final decisions about what to order are made! Plan on the appointment taking approximately two hours, as well as arranging for a babysitter for children under the age of 12. Our clients are thrilled with the Ordering Appointment process and love the ease of making decisions with our studio image software. Our specialty is helping you select the best images, photo groupings, books, and frames suitable for your home, office, or any gifts you have planned. You will love the confidence it gives you in your decisions. It’s a blast to view your whole gallery up on a big screen, then plan your custom products with Gwen's help. You'll be able to hold and see each product choice in person, and can utilize Gwen's expert help with choosing and designing the right products. Gwen will take as much time as needed to answer all of your questions, and makes sure that when you leave, you feel completely confident in your order! What will we do with my images? Fancy That is a full service boutique studio offering unique and cutting edge products custom designed with your photos and style. We have custom graduation announcements, handcrafted storybook albums as unique as you, custom collages, gallery wraps, iPhone covers, photo jewelry, license plates, memo boards, photo wallet tins, metal art prints, DVD slideshows, custom phone apps and more! At Fancy That Photography we work with the finest professional labs and the possibilities are endless! There's definitely something to catch your fancy! Our Portrait Collections are offered at special pricing, and represent a considerable savings over the pricing of individual prints. Gift & Mini prints start at $52/$38 with Portrait Collections, and Portrait Collections begin at $879. Everyone’s needs are different. Most families plan for wall portraits or canvas clusters, gift prints for themselves and their family members and friends and almost every family agrees that one of the things they treasure the most is the highly sought-after custom storybook keepsake albums! We can find the happy medium that meets your needs! Prints and custom-designed boutique items are sold separately, either a la carte or in pre-designed collections. Every image you order is personally developed and processed by Gwen one-at-a-time, and printed with leading professional labs used by many famous portrait artists across the country. Digital enhancements, basic blemish removal, color and tonal adjustments are included. Additional retouching for severe acne, scars, red eyes, unwanted shine, stray hairs, braces removal, etc, can be done upon your request. Simply ask for an artwork quote. The absolute best quality is seen in every product at Fancy That. All portrait prints include a lustre coating to preserve and protect your photographs over the years. A fine linen texture is included at no additional charge to you and wall portraits with this texture do not have to be put behind glass. An added benefit to you is that all wall prints are professionally mounted for preservation. We purposefully mount all 11x14 and larger wall portraits on styrene, sintra or Masonite and avoid art board as it is not a good choice in our dry Colorado climate. At the time the order is placed, please be ready to pay 100% of your total order. Orders are custom-made and are therefore non-refundable. . Balances must also be paid in full to receive any digital or yearbook images. Orders must be paid in full before leaving the studio. We take deposits in advance to help you budget, so feel free to space out payments! We also offer several convenient payment plan options for you and your family. Ask about our options and let us help you design a plan that works best for you. I can't wait! When do I get to bring everything home? Quality takes time, so please allow 5-8 handcrafted storybook albums will take longer. Please allow us the time needed to provide you with the quality you expect! It’s worth the wait! We do! Fancy That Photography wants to ensure you choose a portrait display ideal for your images and the style of your home or office and offers this service to save you time and steps. We’re happy to offer custom canvas gallery wraps, metal prints, gallery blocks, and custom-framed portrait art designed to suit your taste and your wall! An additional benefit to you is that every frame includes non-glare glass and comes fully finished with hanging hardware, all provided to you at no additional fee beyond the cost of the framing itself. We are the only framing service in Colorado that offers these additional benefits to you at no additional charge. NEW! We also offer a selection of fabulous quality tabletop frames for your gift prints. Pick one of these up and you can literally FEEL the quality. You'll make each gift print truly special with these frames! Of course! If you would like your items shipped, a shipping and handling fee is applied to your order. Following your ordering appointment, all non-ordered images are removed from our system. All ordered and paid-for images are archived for up to one year. WHAT IF I WANT TO USE SOME OF MY IMAGES FOR SOCIAL MEDIA? Every portrait collection comes with some webPix images that are enhanced and web-optimized for use on mobile devices, tablets, and social media outlets (Facebook, Instagram, Twitter, etc) perfect for archiving and sharing with family and friends. All webPix carry the Fancy That studio logo and may not be cropped or altered in any way. Most of our portrait collections also include a digiAlbum for your smartphone so you can have and share your images directly from your very own phone app! What if I want to make a copy of my image? You are always welcome to order more prints. Unfortunately, you can’t make copies. 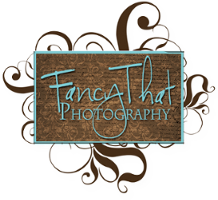 All images are the property of Fancy That Photography and are protected by federal copyright laws. Duplication in part or whole (whether by scanning or reprinting) is strictly prohibited and will be prosecuted by law. This includes posting scanned images to social media websites! Please call if you have questions and we would love to help you share your images with friends and family.